Are you looking for royalty-free images, photos, graphics, vectors and footage? 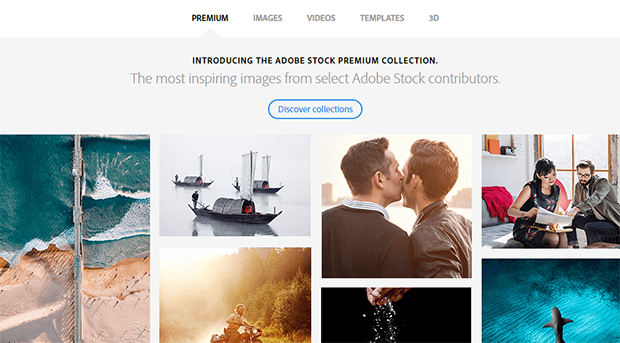 Adobe Stock allows you to buy individual images or subscribe to a plan. Launched in 2015, the stock site has some unique features that are valuable to both Creative Cloud members and non-members. It is now one of the largest stock media agencies available, with over 65 million stock assets. It can be accessed in most countries and is available in 20 languages. What Adobe Stock Images will you find in the website? Photography. The most effective websites and campaigns use visuals to convey information. Adobe Stock images can take you places. They show realistic details that sell. They encourage people to share. They best show the heart of your brand. Vectors. Vector graphics often show abstract images like logos. These Adobe Stock images are made for editing. They are easy to create and re-edit. They are scalable and ideal for detailed illustrations. They look good in print and are more aesthetically pleasing. They are perfect for presentations and animations. Illustrations. Adobe Stock illustrations are impressions from its most expressive artists. They are the most prominent design element that controls the entire layout. They are a versatile tool, and AS offers a wide variety that you can use in various implementations. Millions of Adobe Stock images are waiting to be explored. All you have to do is find the perfect image to enhance your next creative project. If you are a Creative Cloud user, you can do that right inside your Adobe CC software application. If you’re not a CC user, don’t worry. Adobe Stock is a standalone website. You can still purchase and download images. Purchase the options that meet your needs with a la carte and subscriptions. Adobe Stock images are available starting at $9.99 each. You can also subscribe to an annual plan starting at $29.99 per month. It is currently on promo. You can have the first month for free.